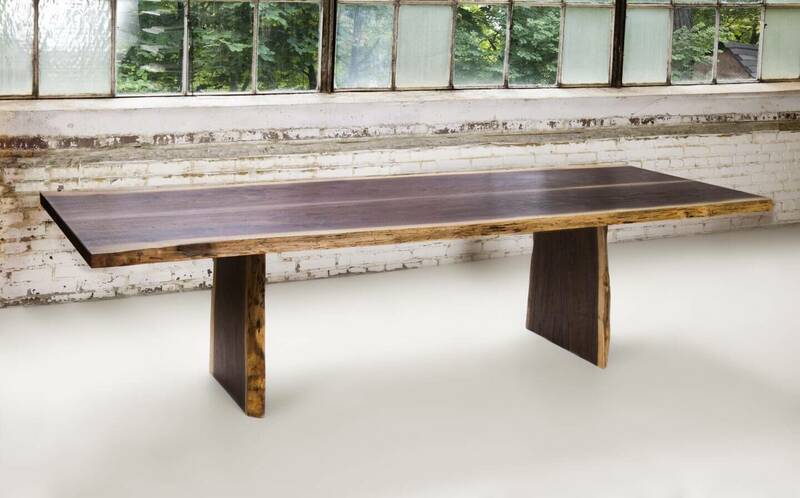 Live Edge Handcrafted Walnut Dining Room Table With Matching Slab Legs. 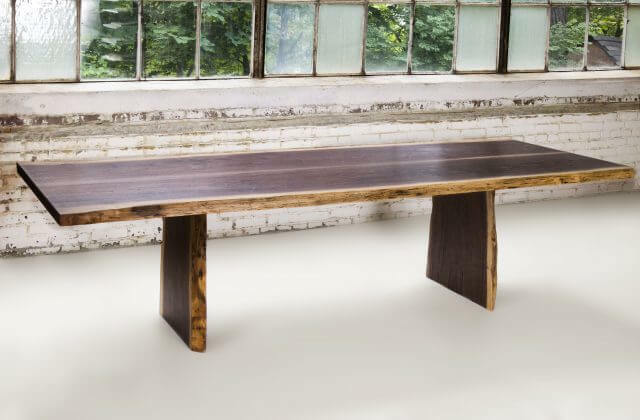 Custom-made dinning room table was handcrafted from locally harvested black walnut. 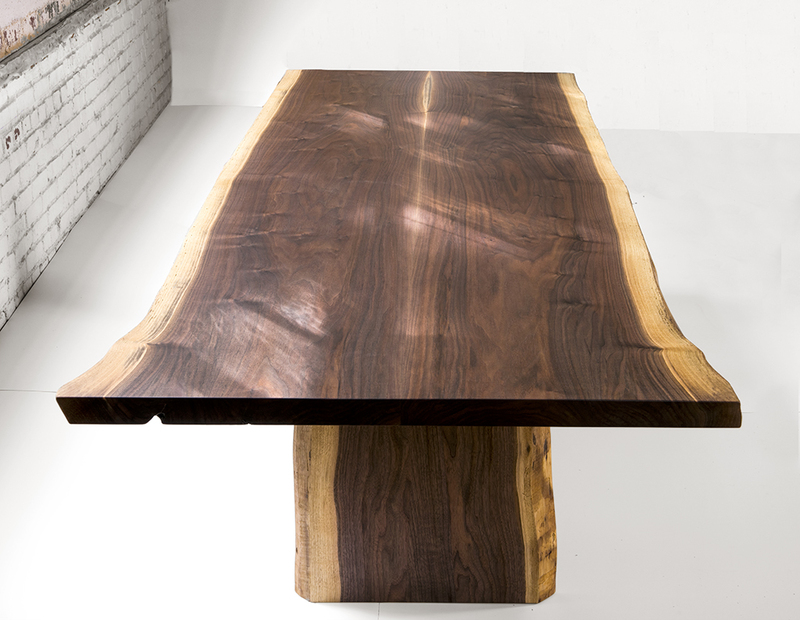 This table is 108″ x 44″ and can easily seat 10 people for dinner. The warmth of the natural walnut color, grain and form helps to create an ideal natural relaxed atmosphere in your home.